Inspired. Empowered. Invigorated. Limitless. Uplifted. Filled with an abundance of goals with soul. Ready to take on the world and my dreams. Awakened to my own power. Daring and Disruptive. Daring and Disruptive is a book that will light you up and lift you up. It’s not everyday that you read a book that can elicit all of these feelings within you. 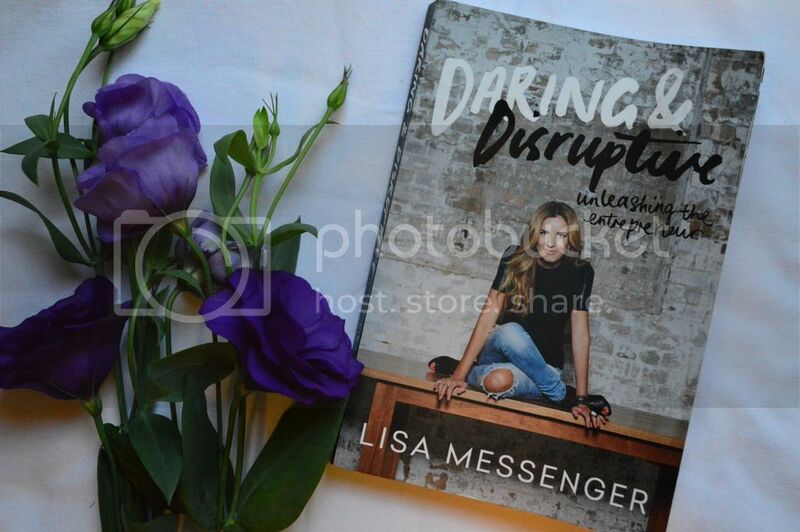 But Daring and Disruptive by Lisa Messenger certainly does. Lisa Messenger has a tantalising way with words. If there is a Midas Touch for writers, Lisa surely has it. Her book is full of powerful messages, but what I find so inspiring about Daring and Disruptive is that it conveys the idea that you can do this too. The possibilities are limitless and you can decide what you want to do with your life. What Lisa has achieved as a business woman and now as the founder of the widely loved magazine The Collective is remarkable. But what’s even more remarkable is how generous she is, how willing she is to share the lessons she has learnt on the way, and how honest, open and raw she is throughout the entire book. Lisa’s approach to life is refreshing. And the world needs more people like her. People who will leap before they know what’s on the other side, people who will put themselves out there, people who follow their gut instincts, people who want to learn about themselves and the world, and people who want to share and connect with those around them. I devoured Daring and Disruptive in a weekend, but the lessons I learnt are still lodged deep within my mind and soul. They are lessons we can all learn from, whether we want to unleash our inner entrepreneur or not. Self-belief is unbelievably important. In every accept of your life – from business, to pleasure, to play. In short, you need it. If something keeps holding you back from achieving or even attempting to achieve your dreams, it probably stems from a lack of a deep self-belief. You need to believe in you. Cultivate that relationship with yourself and build your self-confidence. When you believe in yourself and your ideas, you will feel like you are worthy of living your dream life. You will go after your dreams and you will attract more of what you want into your life. When you’re confident within yourself, you can tune in to your gut instincts and you will actually listen to them. Our guts know best, but we often ignore our intuition because we don’t trust or believe in ourselves enough. Lisa started The Collective with no magazine experience, at a time when other people were worried that the world of print magazines was dead. But Lisa knew that her idea to start a magazine needed to be turned into a reality. She knew she was on to something good. And success of The Collective knows no bounds, and is currently being published in 33 (and counting) countries worldwide. Have an unwavering belief in yourself and the rest will follow. Lisa is not afraid to admit to her failures – in fact she relishes them. She sees failures as a chance to learn and to grow. Not as something to wallow in, nor as a warning sign to stop trying. What if, in Lisa’s words, ‘failure is another word for experience’. How differently would failure feel if you let go of all of the negative connotations? We all will fail at some point in our lives. It’s almost inevitable. Instead of focusing on the fact that we have (or will) fail, we need to focus on how quickly we bounce back. How quickly we stand back up, and how long it takes us to try again. The aim is not to never fail, but to fail fast. To put what went wrong behind you and learn from what didn’t work. Setbacks are just that – they set you back. So fail fast and move on with warp speed. If you are an entrepreneur and run your own business, you are so important to the success of your business. If you drive yourself into a burn out, your business is not going to be long-lived or profitable. But even if you’re not running your own business, there is nothing more important than you and your health. Your mental, physical and spiritual health needs to be cultivated so that you can feel good and get the most out of life. We all need to devote time outside of work to ourselves. 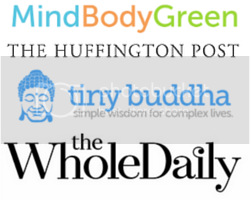 Self-care practices and regularly moving our bodies needs to be a priority. When we devote time to ourself, when we invest in our own self-care, our creativity can soar. When we connect inwards and invest in our time outside of work, we open ourselves up to learning about the world and ourselves. Set aside time to reflect, check in and recharge. Don’t wait until you think you’re ready. Don’t worry that you don’t know what is on the other side; just take the leap. If you have that gut instinct that you’re on to a good idea. Or if you can feel that you need to go out there and make a change in your life (whether that is quitting your job, moving interstate, leaving a relationship, pitching a new idea to your boss, asking for a promotion, or whatever) – go out and do it. When we find ourselves in situations where a big change or a leap of faith is necessary, we all get scared. Fear will rear its head at all of us. But the people who can harness this fear and move beyond it, are also the people living their dreams and creating amazing experiences for themselves. So what if something doesn’t go to plan? So what if you failed? You can find the lessons. You can grow through failure. You can always find the positive. Our minds are powerful and our thoughts can set the tone for more than just a day or two. They can determine how we experience our whole life. Negativity begets negativity. Positivity begets positivity. So which one will you choose? Know that at any moment in time, you can change your attitude. No matter your past failures or triumphs, you can have a positive mindset any time you choose. No matter what you are doing with your life, or where you want to go, get out there. Believe in yourself, trust your gut, feel the fear but take the leap. If you can dream it you can do it, so follow your dreams. You can do anything and the possibilities are limitless. Be daring and be disruptive. I’ve heard such good things about this book and I’ve been meaning to read it for ages, but you have made me want to read it ASAP. Oh and ‘Failure is another word for experience’ what an incredible reframe!